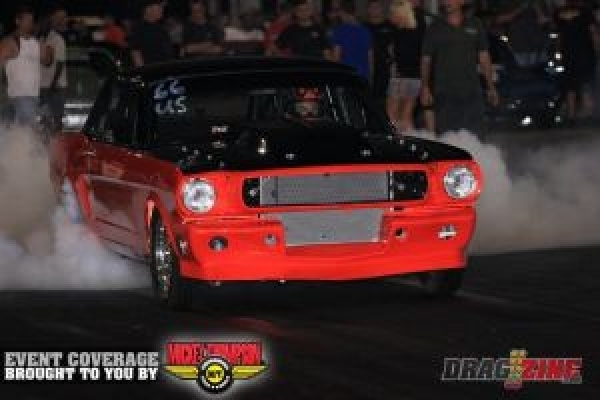 With a brand new combination consisting of an all aluminum 5.4 modular and the Ultimate Street class spec 80mm turbo from Precision, Chris had his hands full to try and compete against the tightly packed field at SGMP’s No Mercy 3 event. After Qualifying #4 with a 5.22 @ 135, Chris went to the semi’s before being knocked out by one of the heavy hitting nitrous small block combos. With Chris and the Panhandle crew testing a few things on the car this winter, look for a possible break into the 4.90’s during the 2013 season opener.